Baltimore, Md. – Arnold Packaging, now celebrating 85 years of offering packaging and productivity solutions for some of the country’s best-known brands, announced today they have acquired World Class Packaging, a local packaging solutions provider. Based in southeastern Baltimore, World Class Packaging was started in 2004 by Marco Alban. With a client base of more than 200 customers across the region, the acquisition of World Class Packaging brings with it a greater market share across the mid-Atlantic, increasing Arnold Packaging’s foothold as a leader in industry. This acquisition will add another six employees, an additional increase of 11-percent. Arnold Packaging’s president, Mick Arnold, is the fourth generation President of the company and sees the acquisition as another opportunity to better serve customers. President since 1995, Mick Arnold rebranded the company as Arnold Packaging in 2016. In 2017, he launched the company’s first break-out division, Arnold Automation, to help customers leverage the benefits of automation in reducing labor costs and increasing productivity. Shortly after, he formed an exclusive partnership with Ready Robotics to offer the company’s TaskMate robot to Arnold Packaging clients, a move that Arnold sees as redefining the manufacturing process. 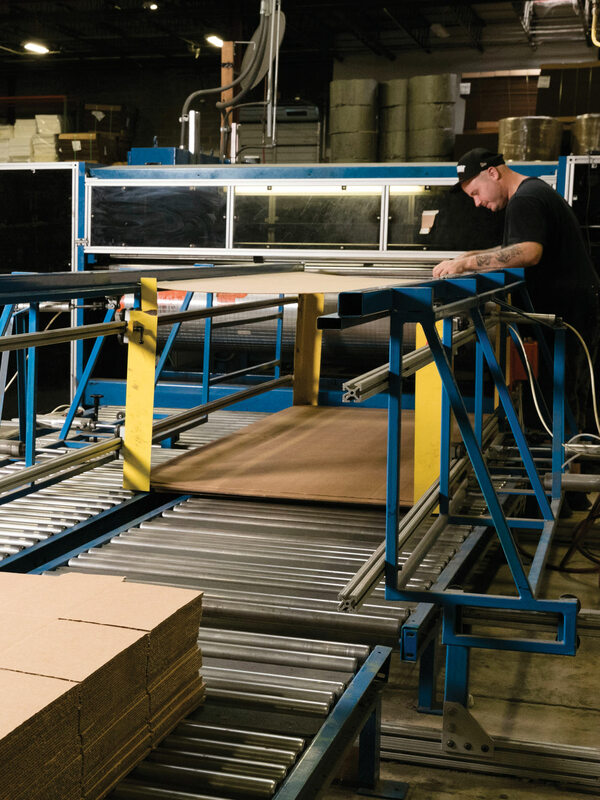 Since 2016, Arnold Packaging’s manufacturing division has experienced 94.4-percent growth and their workforce has increased by nearly 33-percent. In the mid-1950s, the company began manufacturing wood and corrugated shipping containers to serve major mid-Atlantic manufacturers, including Northrop Grumman and Bethlehem Steel. In 2012, Arnold’s Factory supplies was ready to expand to other markets when Saks Fifth Avenue moved its distribution center from Maryland to Tennessee and later extended to Toronto Canada. Arnold Packaging is the most comprehensive packaging company in the industry, serving as a single source for the distribution of packaging supplies, the design and manufacturing of custom-made containers, automated inventory management and packaging automation. The company utilizes four generations of packaging expertise to provide innovative solutions that make its customers more profitable through individualized solutions, reduced freight costs, cutting-edge packaging and shipping technologies, and more. Arnold Packaging’s new division, Arnold Automation, focuses exclusively on showing customers how they can leverage automation to bring down labor costs and increase profitability.